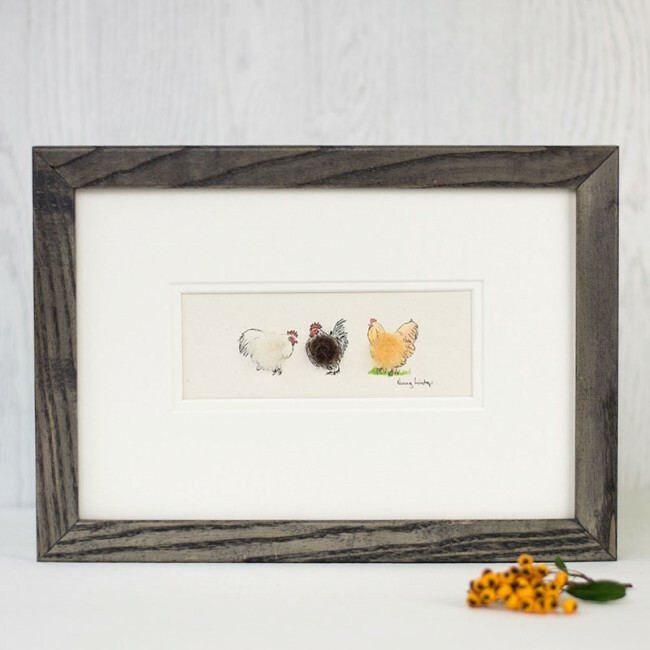 If you are looking for a quirky gift for a chicken lover, why not look closely at this bantams print. 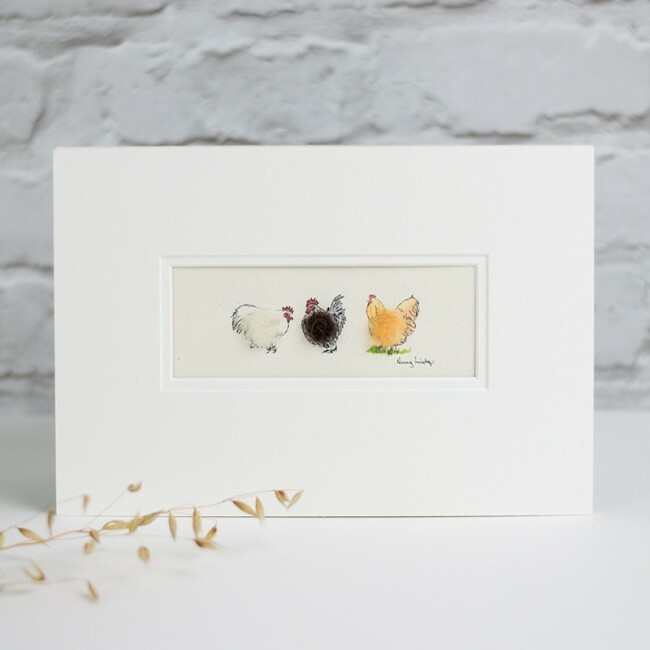 Two fluffy bantams and an orange Buff Orpington hen are hand finished with puffs of real sheep's wool - our signature finishing touch that is so loved by our customers. We print the artwork on an acid free archival quality paper which is made in the UK, and mounted in a conservation quality double mount. A double mount really adds a extra touch of quality to the finished artwork. Mounted print size; standard A4 297 x210mm. 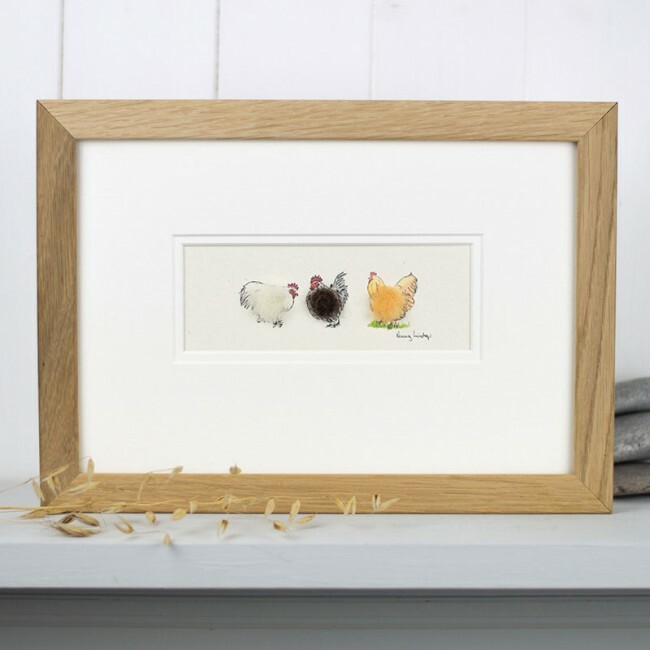 This is a easy frame size to purchase in the shops, but if you would like us to finish your gift for you, we would be happy to frame it for you. We are happy to add a personalistion to your print, making this a unique and special gift. The wording is hand written in pencil just underneath the animals on the print.